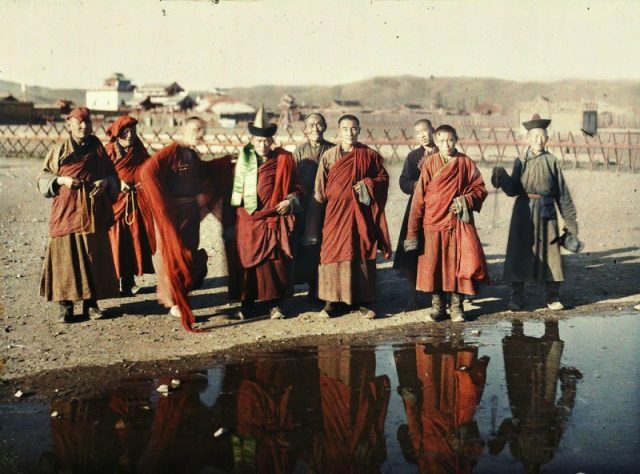 It might come as a surprise, but it wasn’t long after photography became widespread that experiments with color took place, creating vivid images which suggested endless possibilities. As early as 1855, a Scottish scientist called James Clerk Maxwell made notes on how it would be possible to add color to black and white photographs. In 1861, Thomas Sutton followed his instructions and managed to produce a three-color image of a Scottish tartan ribbon. 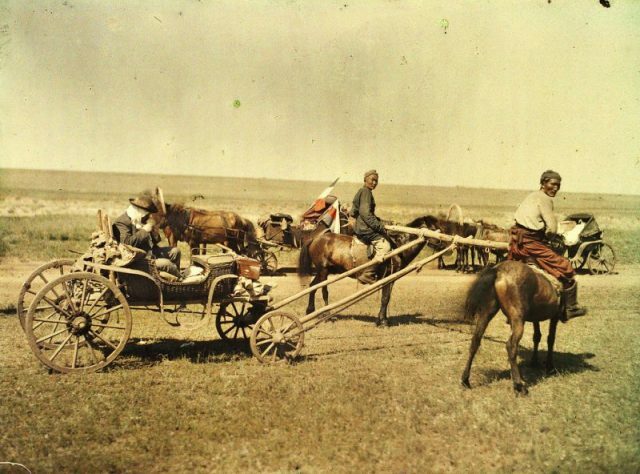 However, this was simply a method of coloring black and white photographs. 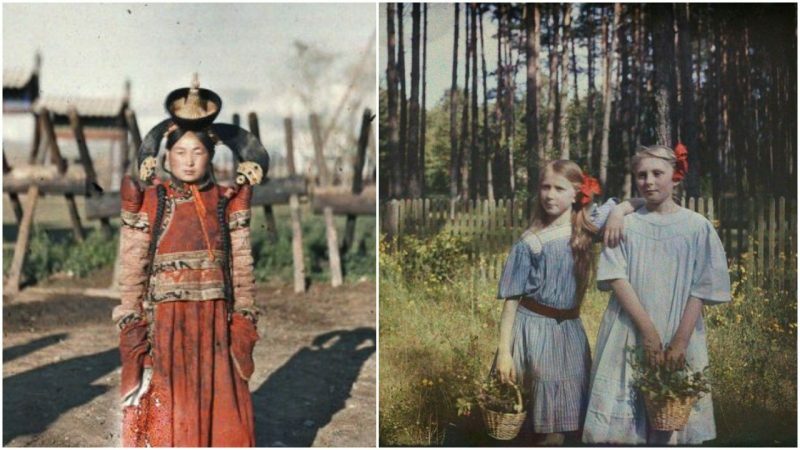 Although the results were similar, inventors and enthusiasts alike were looking for a solution that would create photographs in color without additional colorization. 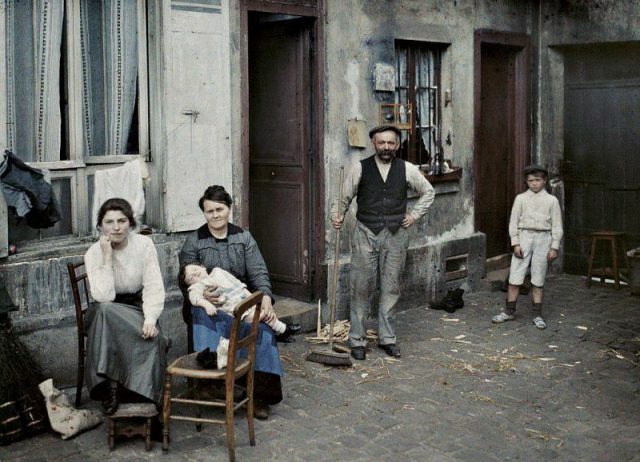 A family in the Rue du Pot de Fer, Paris, France. 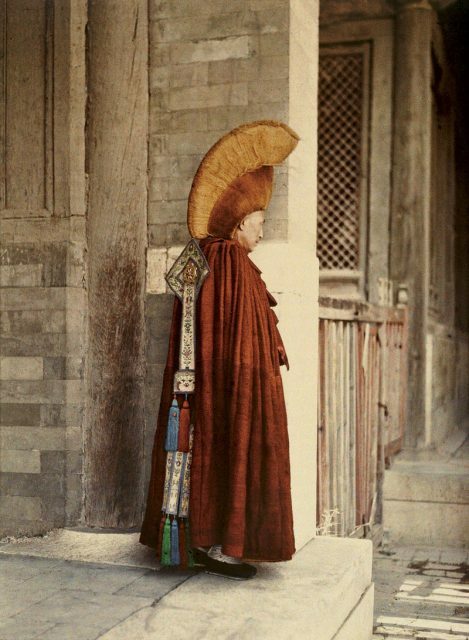 Autochrome from Albert Kahn’s Les Archives de la planète. 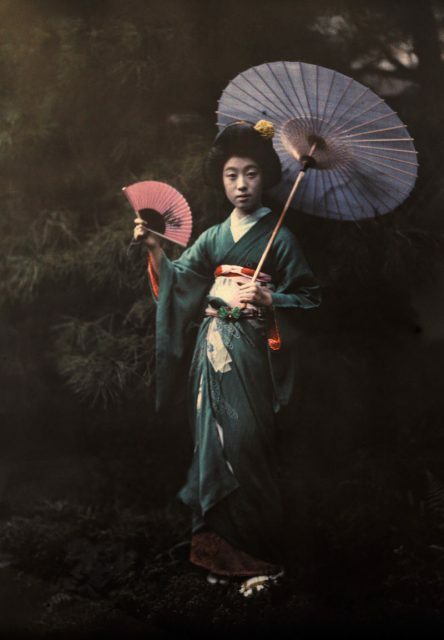 A Geisha girl poses in her Kimono in Kyoto, June 1927. Autochrome. 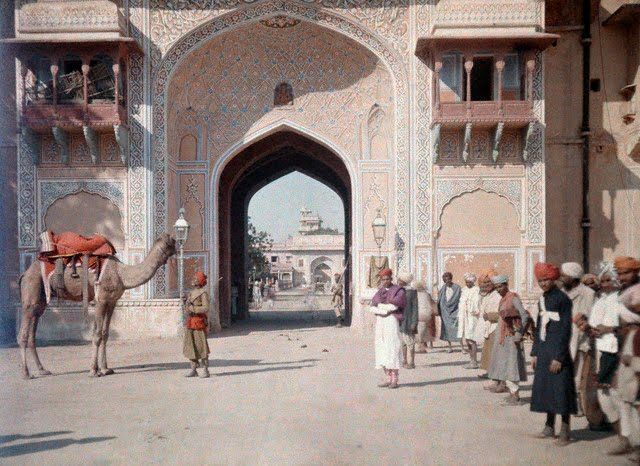 An entrance to the Maharaja’s Palace in Jaipur. Image by Gervais Courtellemont, 1926. Leonid N. Andreyev. 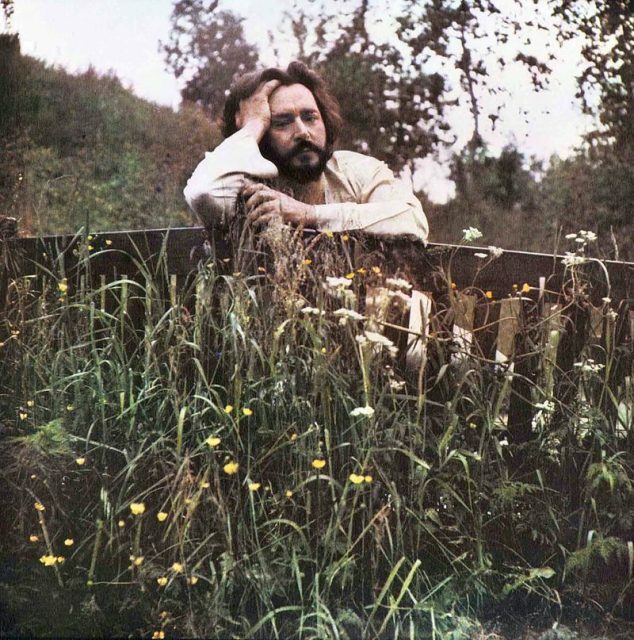 Self-Portrait in Autochrome, image taken before 1919. 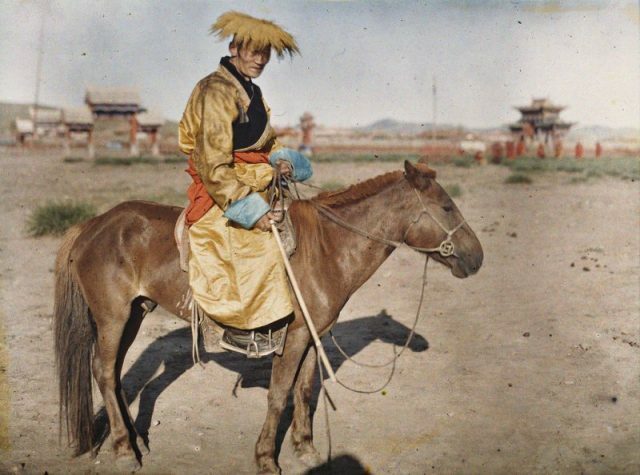 Buddhist lama, Beijing, China, 1913. 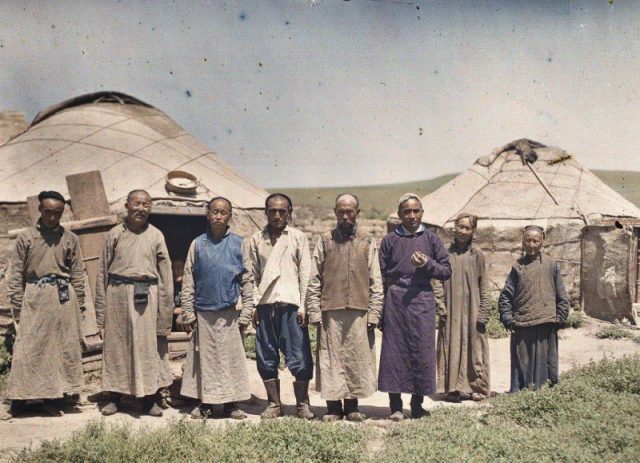 Between Kykhta and Khuree, Mongolia, c.1913. 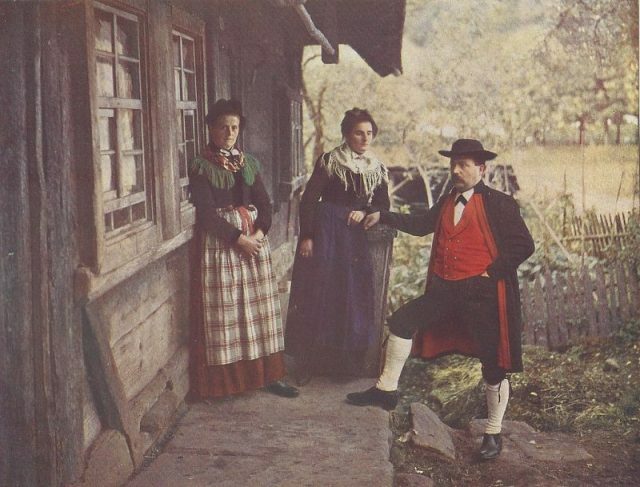 Colour photography based on the autochrome processes: The Black Forest in color photographs, Wagner Freiburg 1910-1911, panel No. 7. 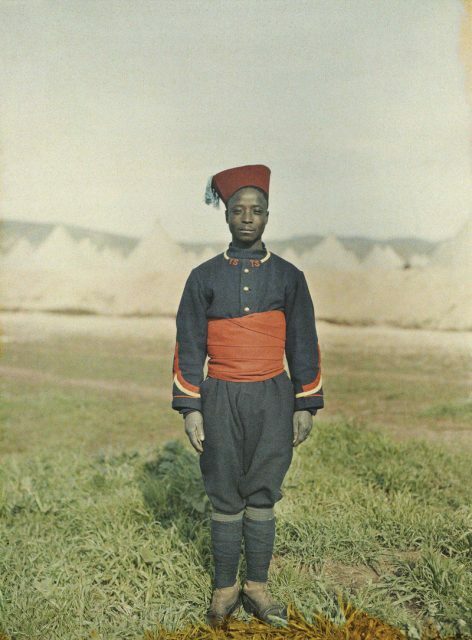 A Senegalese sniper, Fez, Morocco, 1913. 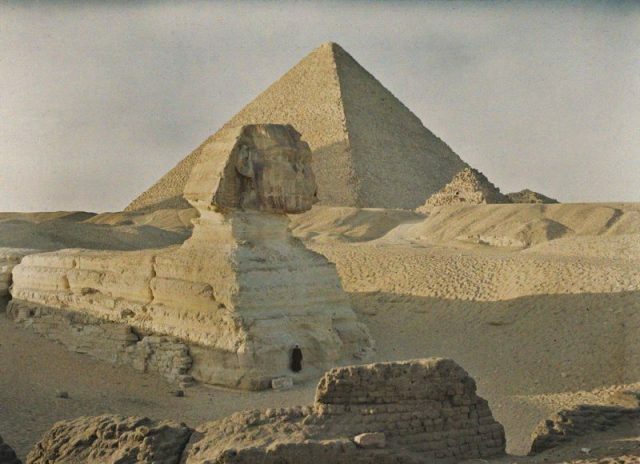 The Great pyramid and the Sphinx, Gizeh, Egypt, 1914. 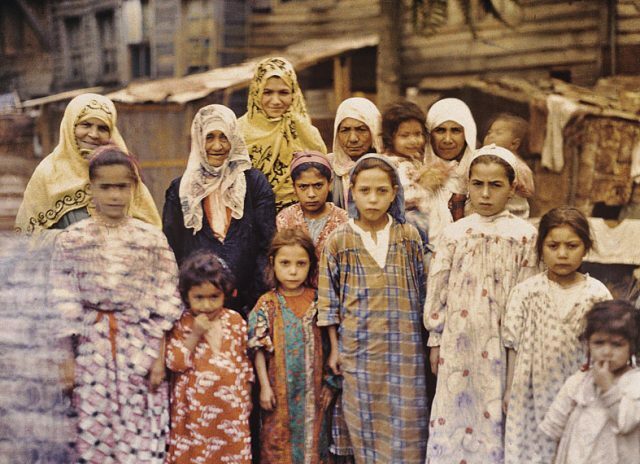 Group of Armenian women and children, Istanbul, Turkey. This didn’t happen until 1903, when the Lumiere brothers ― the same ones responsible for the invention of the cinematograph ― patented a process that would change everything. 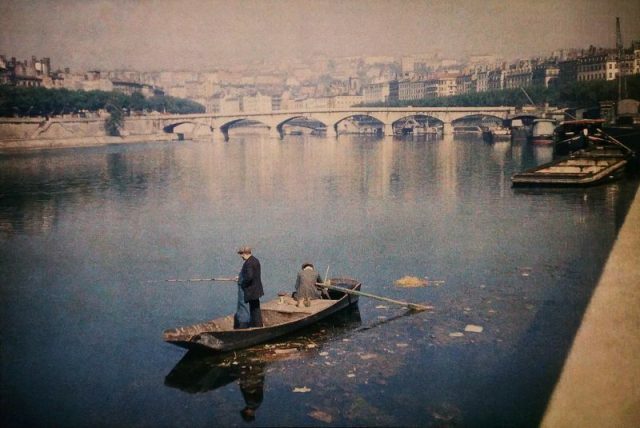 The Lumiere Autochrome entered commercial use in 1907, and quickly became the dominant process of color photography in Europe. 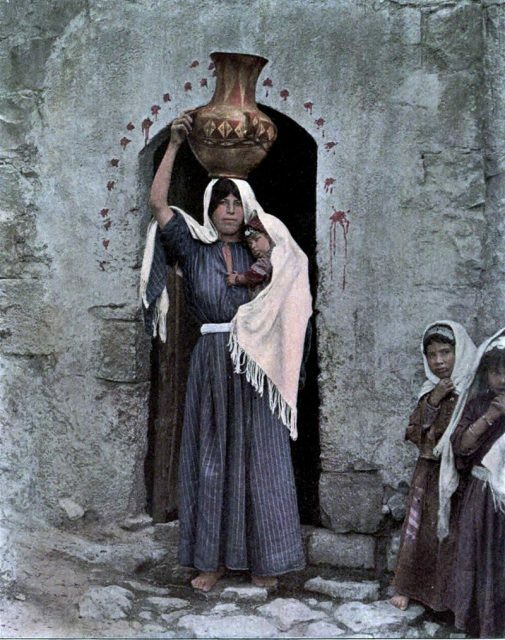 The Autochrome relied on earlier research conducted by Louis Ducos du Hauron and established a method that utilized dyed grains of potato starch in red-orange, green, and blue-violet which acted as color filters. 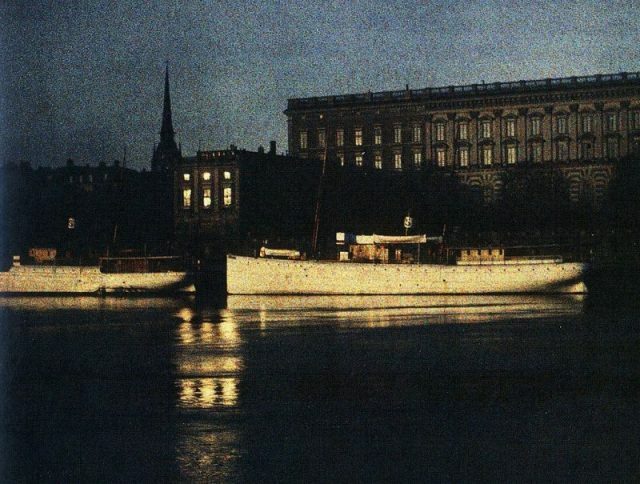 Together with a light-sensitive emulsion, the Lumiere Brothers were able to imprint colors, creating a never-before-seen effect. 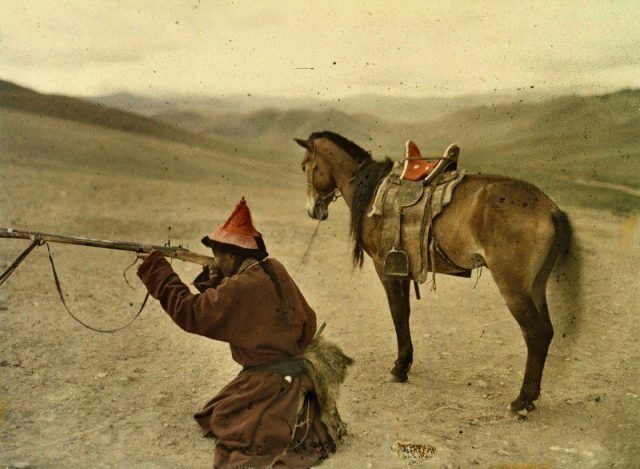 Their vivid photographs quickly captivated rivals and supporters alike ― it simply surpassed any other attempt of color photography, and certainly surpassed colorization methods, as they instantly became outdated. 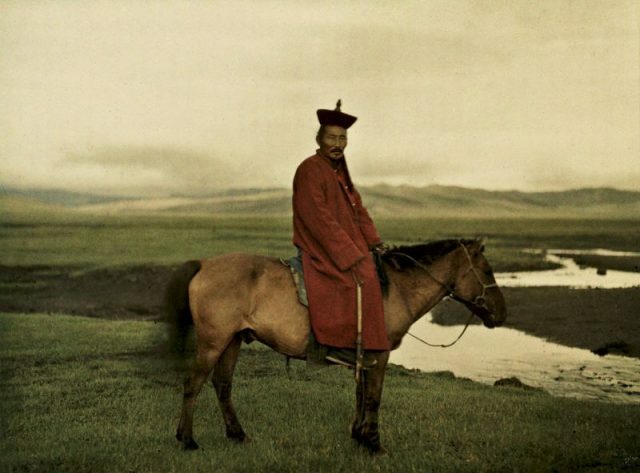 Hunter, near Urga, Mongolia. Autochrome. 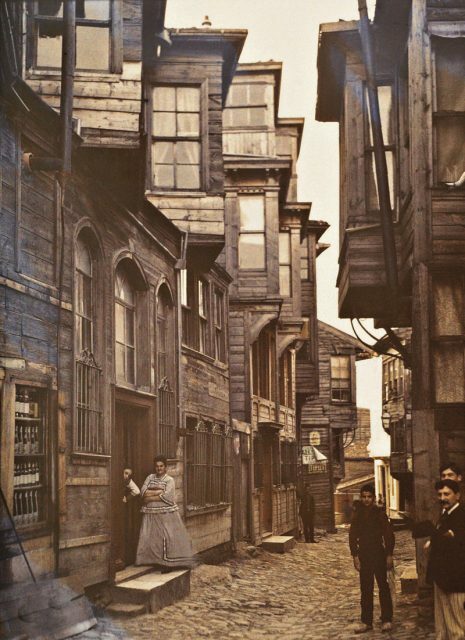 Wooden houses in Beyoğlu, Istanbul, Turkey, 1912. Market scene, Krusevac, Serbia, 1913. 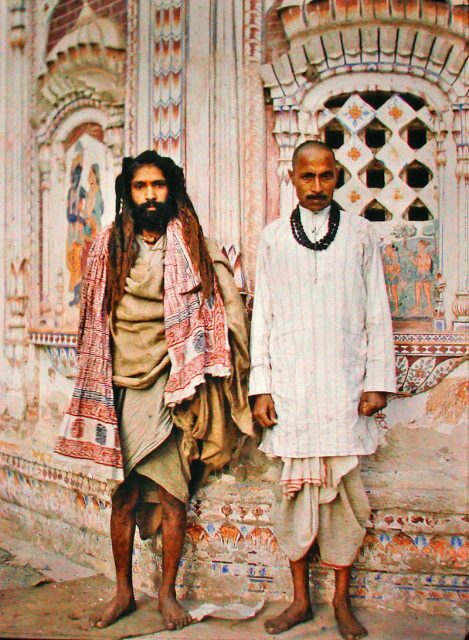 Sadu and Brahmin, Lahore, Pakistan, 1914. Lamas and another man near the yellow palace, Urga, Mongolia. Autochrome. 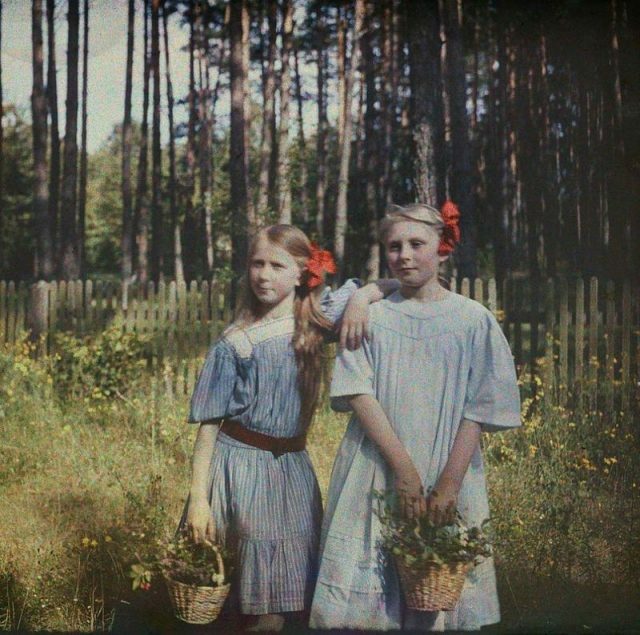 The Autochrome couldn’t come at a better time. As Europe progressed towards the First World War, photographers became keen on capturing everyday street life, monuments, architecture and folklore, tirelessly working on documenting the reality before them. 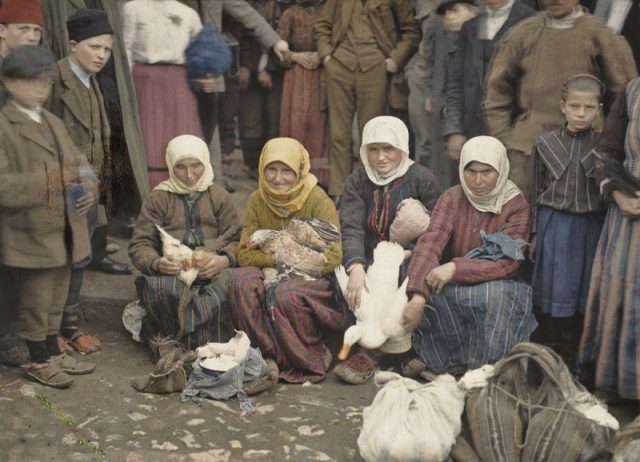 When the war came, they turned their eyes towards the home front, as well as the frontlines, creating an eternal record of the desperation, devastation and uncertainty during the years Europe spent in conflict. 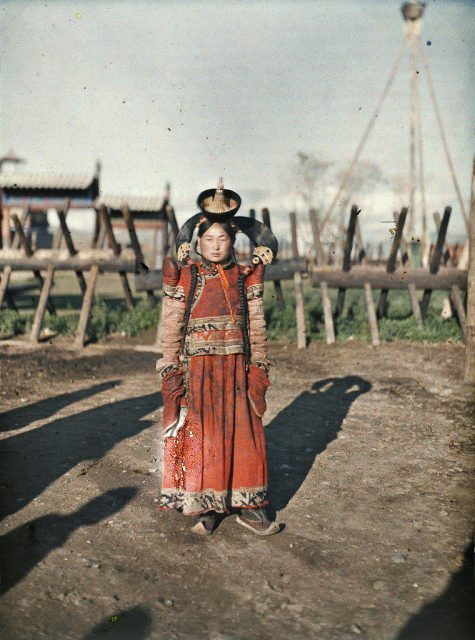 By the 1930s, Autochrome reigned supreme. However, with the invention of Kodachrome film in 1935, the popularity of the Lumiere’s patent quickly declined. Anna Iwaszkiewicz with Maria Wysocka color photograph. 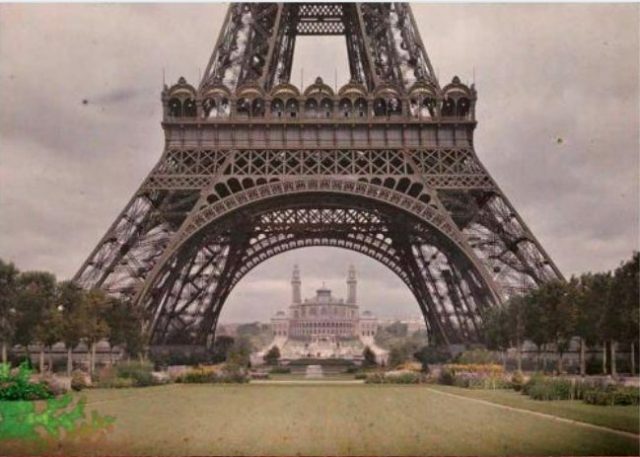 Eiffel tower and the Trocadero, Paris, 1912. 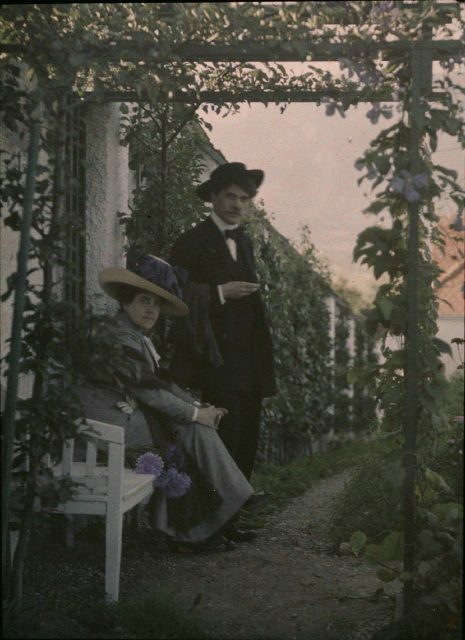 Portrait of the American photographer and modern art promoter Alfred Stieglitz and his wife Emmeline (Emily). Image Courtesy Beinecke Rare Book & Manuscript Library, Yale University. 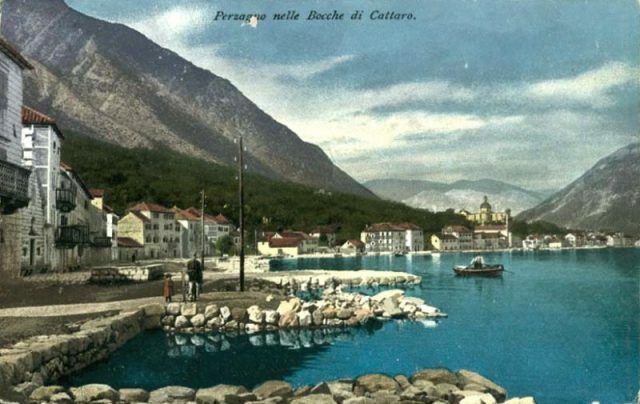 Postcard of , Kotor (Cattaro), Austro-Hungary, 1912. 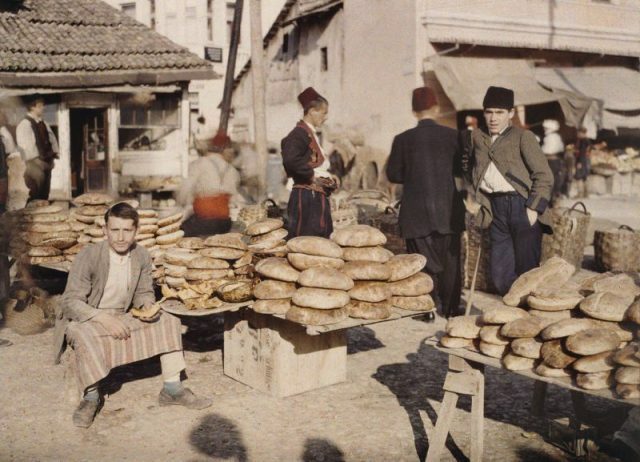 Market scene, Sarajevo, Bosnia-Herzegovina, 1912. 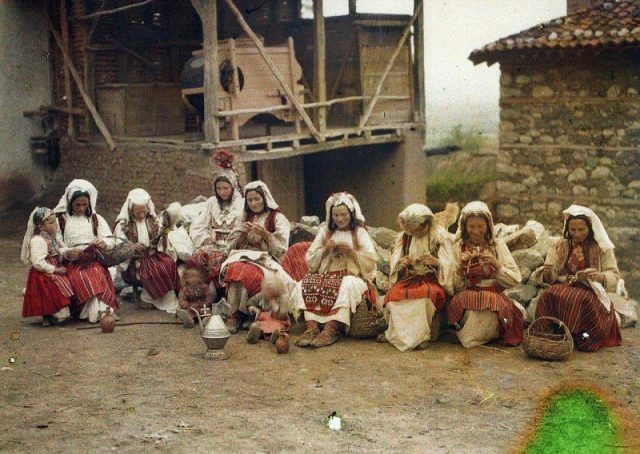 Serb women in festive dress, near Prizren. 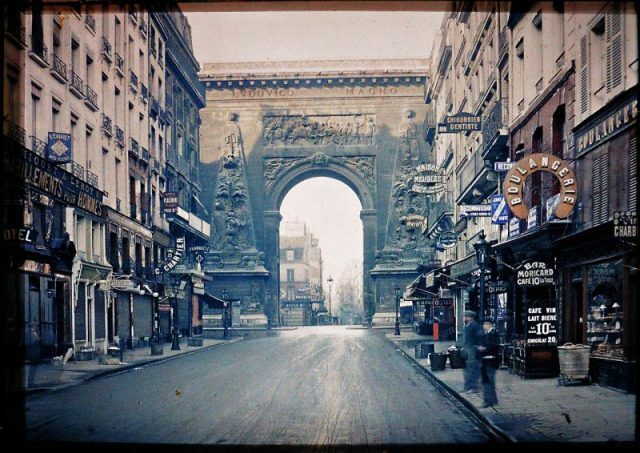 Autochrome by Auguste Léon, May 9, 1913. 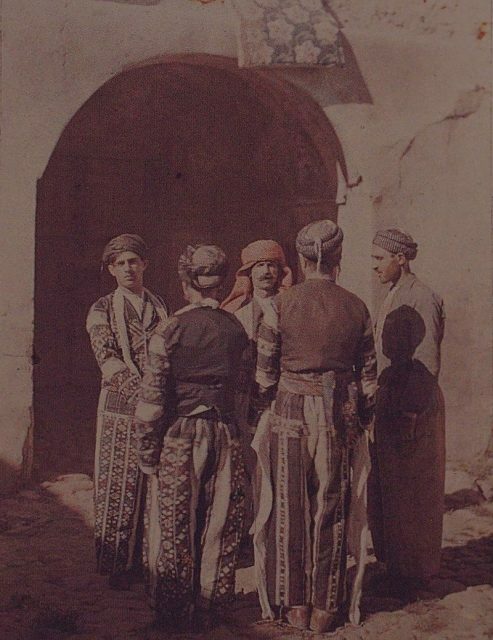 From the collection of Musée Albert-Kahn. 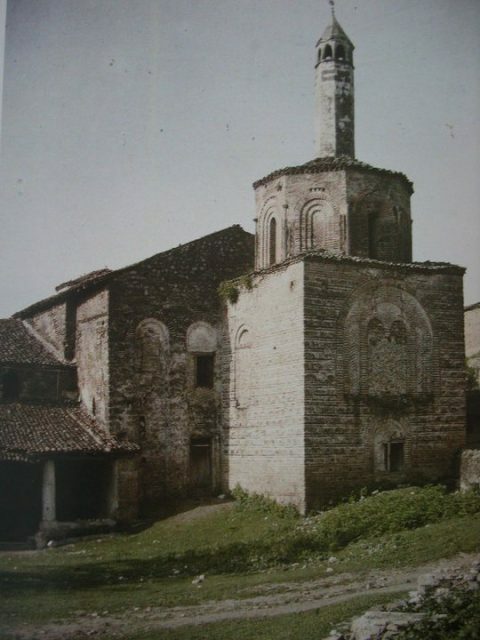 The church St.Sophia in Ohrid, 1913. 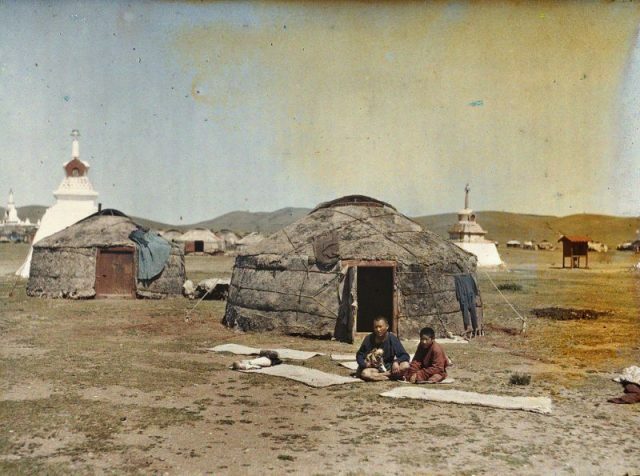 The shanzav Badamdorj near the Yellow palace, Urga, Mongolia. Autochrome. 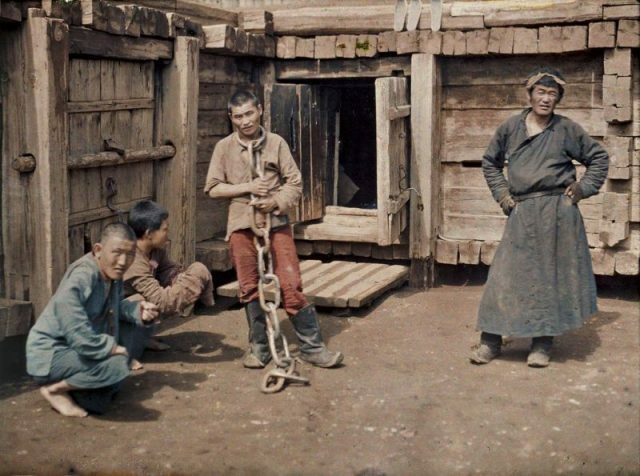 Condemned prisoner in Ulaanbaatar, Mongolia, 1913. 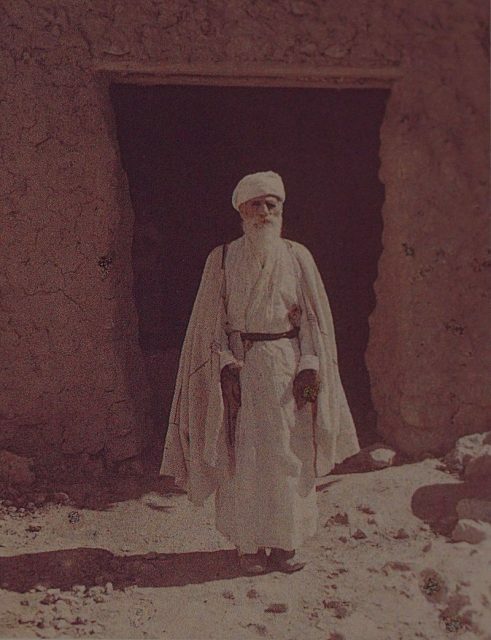 Yezidi Chief in Bachiqua by Albert Kahn, 1910s. 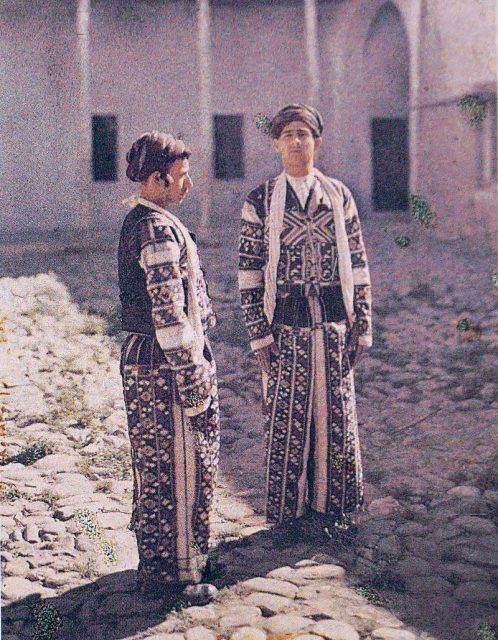 Zaza Kurds by Albert Kahn, 1910s. 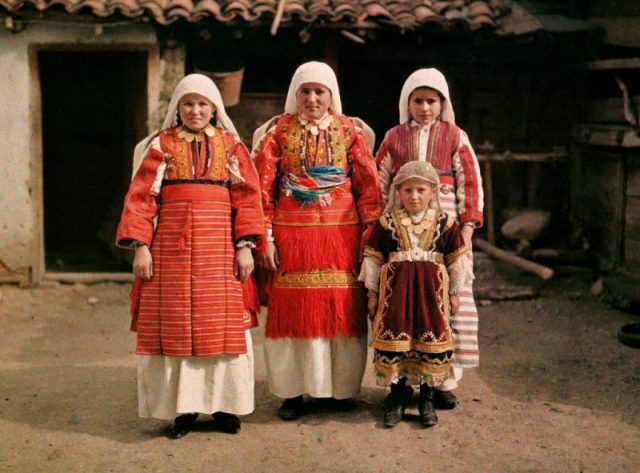 Сhildren in traditional costumes from Macedonia, 1913. 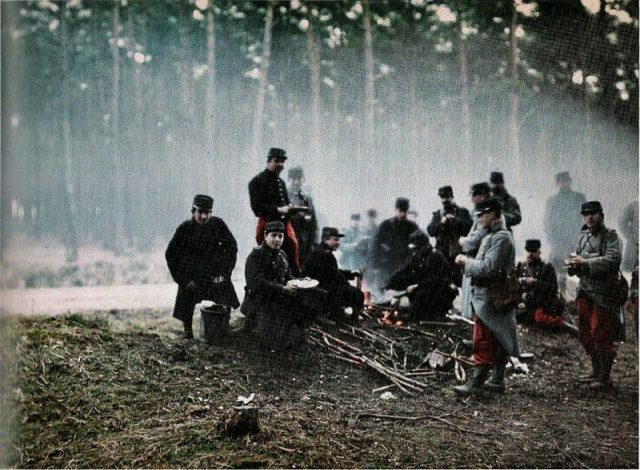 Although Kodak offered an alternative which was superior to Autochrome, in France, photographers continued to nurture their home product, with some even remaining loyal to the Lumiers until the 1950s. Kodachrome would be completely replaced by digital photography at the beginning of the 21st century, becoming as obsolete as its predecessor.